These individual pavlovas are perfect for a special occasion to impress your family and friends. 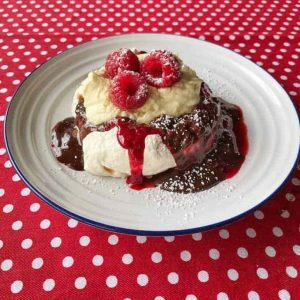 Served with delicious chocolate ganache and a quick raspberry sauce. 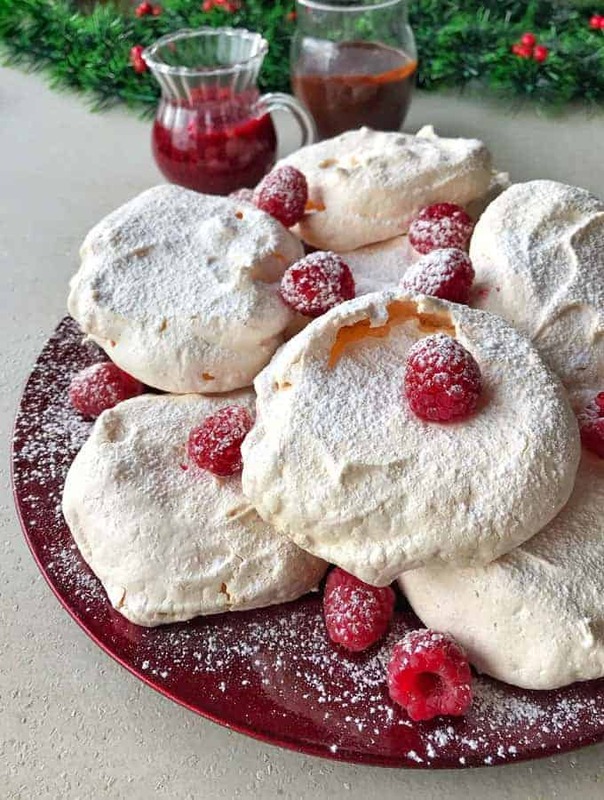 I love pavlova and I love them even more when I get one to myself, this recipe will feed a crowd and makes 12 mini pavlovas. 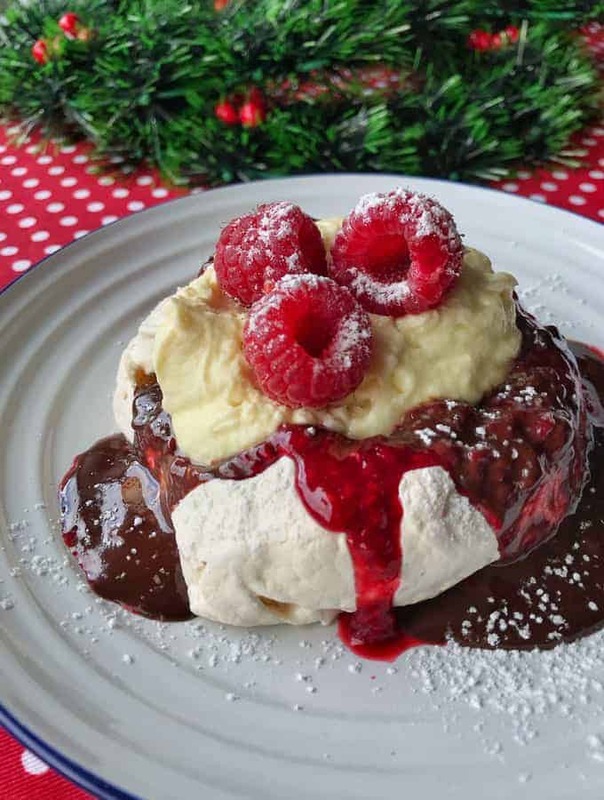 The combo with raspberry sauce, whipped cream and a warm chocolate ganache will be sure to be a hit with your guests. Some people find pavlova quite daunting to make but it only takes a few ingredients and the mixer will do all of the work. I chose to use dark chocolate for my sauce but you could swap to milk or white chocolate too. 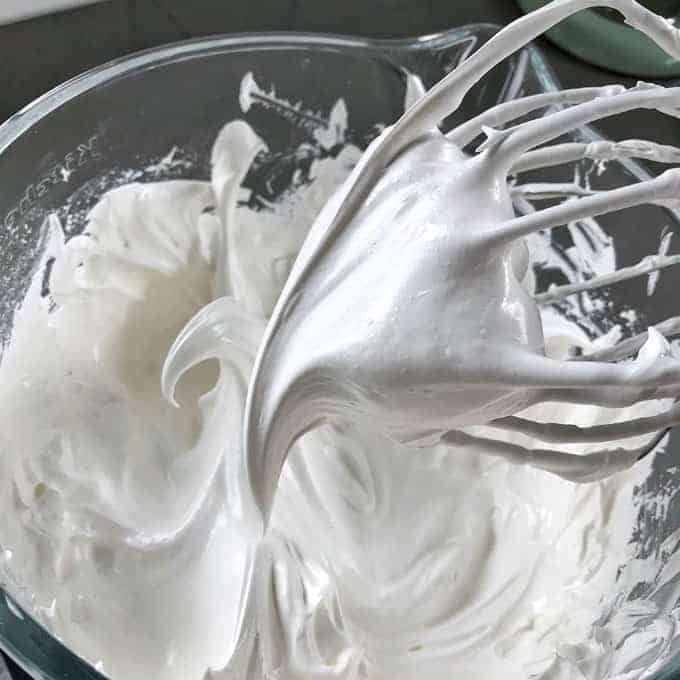 My KitchenAid mixer whipped the egg whites into meringue beautifully, there is something so pretty about the soft white peaks. 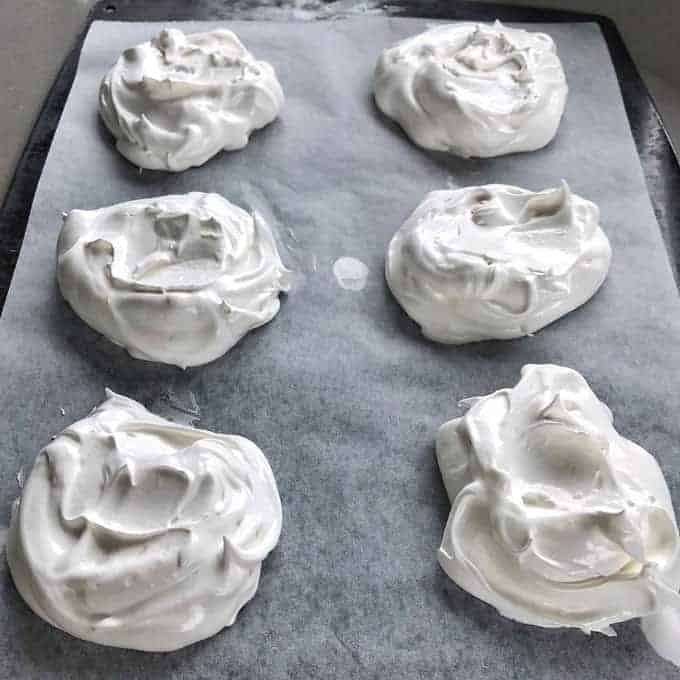 You will need 2 large trays for this recipe, I use a little dab of meringue to make the baking paper stick to the tray. 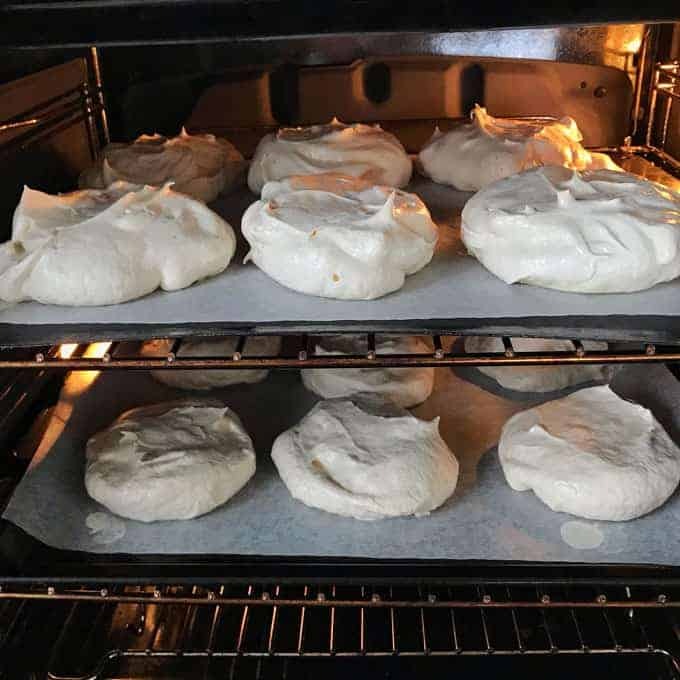 The oven starts off at 170ºC then once your mini pavlovas are ready to bake turn the temperature down to 120ºC. I like to let my pavlova cool completely in the oven with the door ajar. This will result in a pav that is crispy on the outside and soft in the centre. Both of these sauces are made in minutes with the help of a microwave. You can make them ahead of time and store them in the fridge until ready to serve, just make sure you warm the chocolate sauce as it may firm up in the fridge. Serve your mini pavlovas piled up on one large plate sprinkled with icing sugar and decorated with fresh raspberries. Have both of the sauces and the whipped cream on the table so your guests can help themselves to create the ultimate dessert. These delicious individual pavlovas are perfect for a special occasion to impress your friends or family. Pre-heat oven to 170ºC fanbake and line two trays with non-stick baking paper. 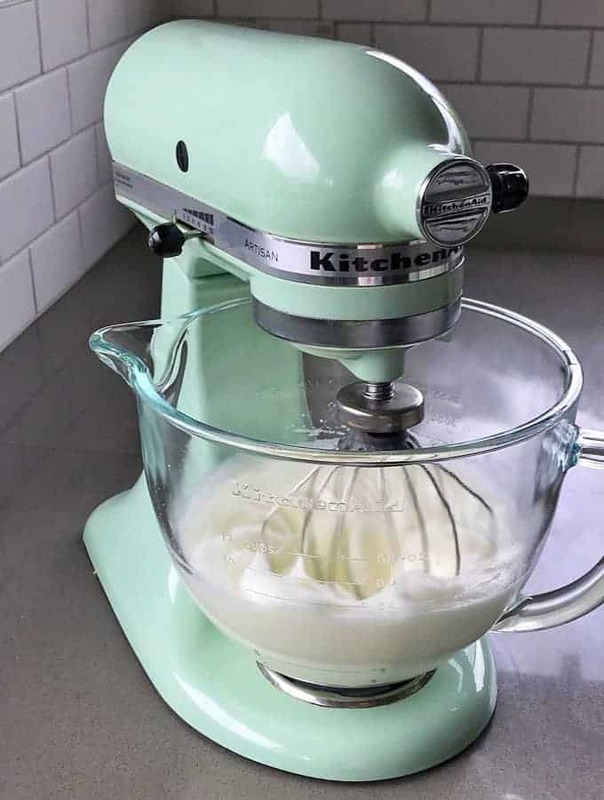 Add egg whites to the bowl of an electric mixer and whisk on high speed until stiff peaks form. Add vanilla essence and vinegar then whisk again on a slow speed. Turn speed up to medium and gradually add the caster sugar one tablespoon at a time. Whisk on high for 5 minutes or until stiff and glossy. Spoon 6 rounds of meringue onto each baking tray and smooth the top of each one with a knife. Reduce the oven temperature to 120°C and bake for 50 minutes or until crisp to the touch. 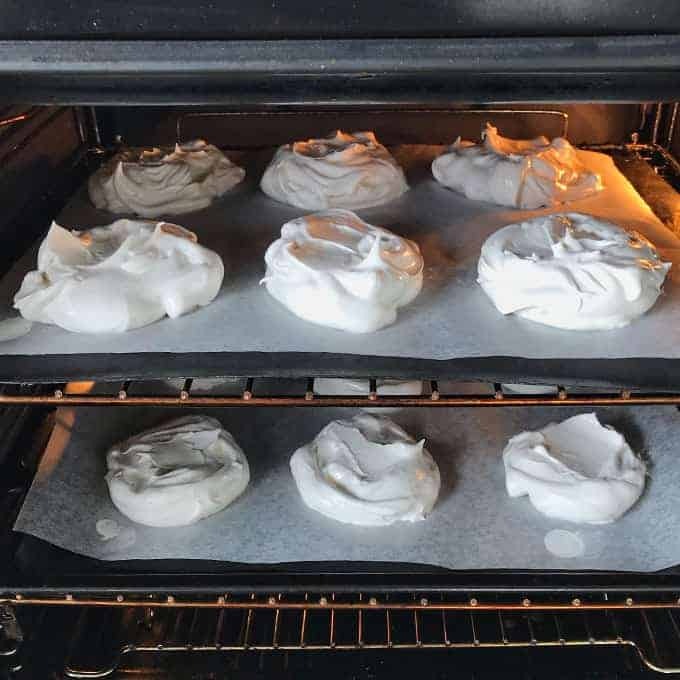 Turn off the oven and cool the mini pavlovas completely with the door ajar. Serve topped with raspberry sauce, chocolate ganache, whipped cream, fresh raspberries and a sprinkle of icing sugar. 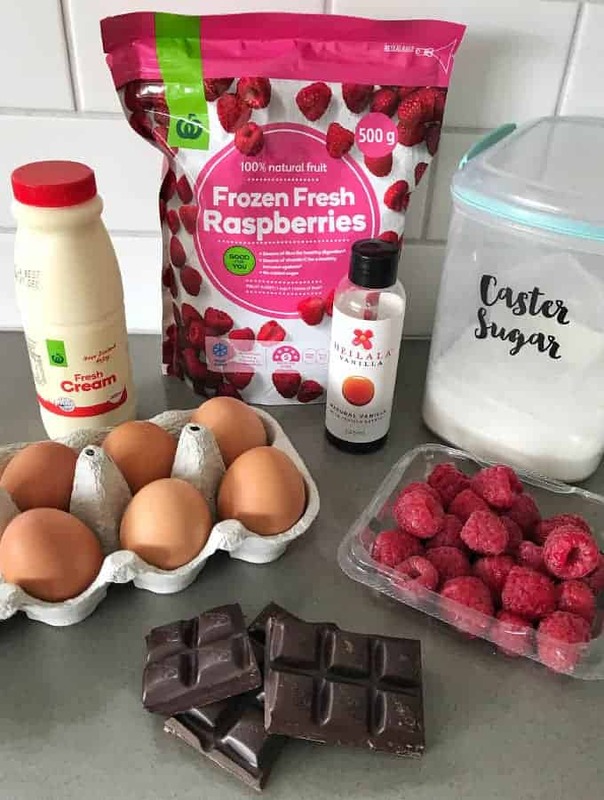 Add frozen raspberries and caster sugar to a glass jug, microwave on high for 1 minute then stir. Microwave for another minute then stir again. Set aside to cool then store in the fridge until ready to serve. Break up chocolate into a heatproof bowl, microwave the cream until piping hot. Pour hot cream over the chocolate and leave it for a few minutes. Stir the chocolate and cream together until smooth. If it still has lumps then microwave in 30 second bursts until the chocolate is completely incorporated. Serve on top of the pavlovas while still warm. 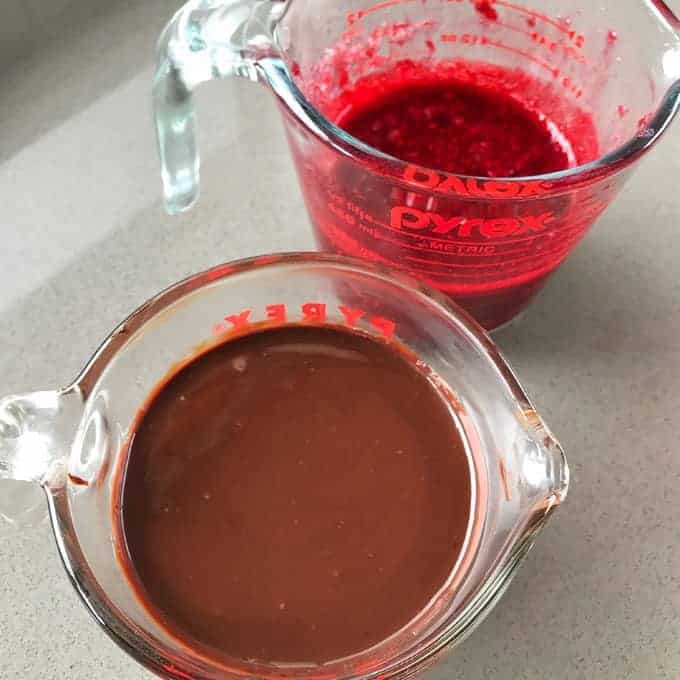 You can make the chocolate sauce ahead of time and store it in the fridge once it has cooled, just heat it up before serving.